Sony/ATV Music Publishing has signed a deal to represent the catalog of legendary singer-songwriter Dolly Parton. The agreement takes in songs from across Parton’s entire career, including the record-breaking “I Will Always Love You,” the Billboard Hot 100 chart-topper “9 to 5,” country No. 1 hits such as “Jolene,” “Love Is Like A Butterfly” and “Two Doors Down” and newly-written compositions. It covers North America and territories not covered by existing sub-publishing arrangements. Parton’s own first hit as a recording artist soon followed, beginning a run of success that has included 25 Billboard country No. 1 hits, more than 50 Top 10 country songs and a record 44 Top 10 country albums. Many of her hits were self-composed, including the Billboard Hot 100 chart-topper “9 to 5,” “Joshua,” “Jolene,” “Love Is Like A Butterfly,” “The Bargain Store,” “Two Doors Down,” “Coat Of Many Colors” and “Do I Ever Cross Your Mind.” Her classic song “I Will Always Love You” reached No. 1 on two separate occasions for Parton before Whitney Houston recorded it for the film “The Bodyguard.” Houston’s version became the biggest-selling single by a female artist of all time as it topped charts around the world, including 14 weeks at No. 1 in the United States. During her illustrious career, Parton has won numerous awards, many for songwriting. Her honors include 10 Country Music Association awards, seven Academy of Country Music Awards, three American Music Awards and eight GRAMMY Awards, including Best Country Song for “9 to 5,” the title song of the motion picture in which she co-starred. “9 to 5” was also nominated for an Academy Award and Golden Globe, while a musical based on the film and featuring her songs opened in Los Angeles in 2008 and has gone on to be performed around the world. In February during GRAMMY Week, she became the first country star to be recognized as MusiCares Person of the Year, receiving the honor at a star-studded tribute event in Los Angeles where artists performing her songs included Miley Cyrus, Don Henley, Shawn Mendes, Willie Nelson and Pink. The salute extended to the GRAMMY Awards ceremony where Parton performed music from her new hit album and Netflix series Dumplin’ and Little Big Town, Maren Morris, Kacey Musgraves and Katy Perry covered some of her classic songs. 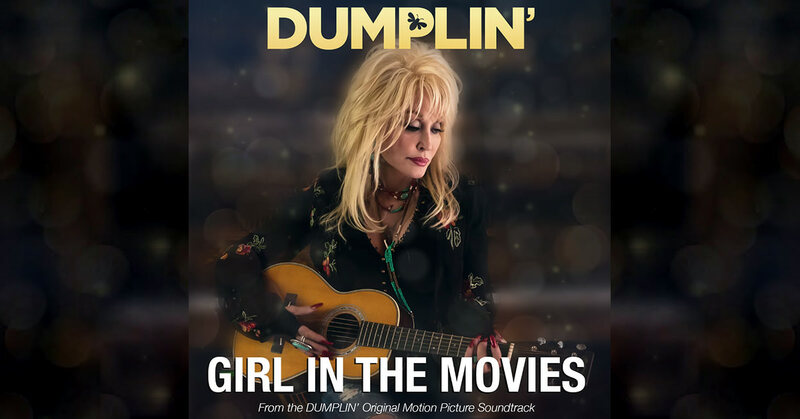 Dumplin’ includes the song “Girl In The Movies,” which was nominated for Best Original Song at the 2019 Golden Globe Awards. Sony/ATV Music Publishing, established in 1995, is the world’s leading music publisher. 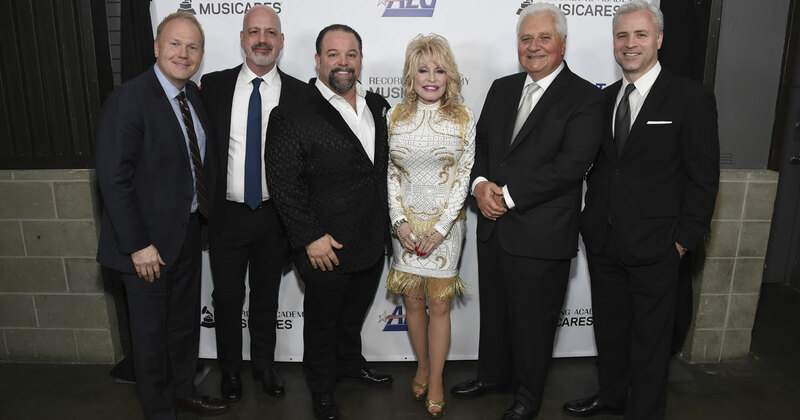 Pictured Above: Troy Tomlinson (Sony/ATV Nashville President/CEO), Bruce Scavuzzo (Sony/ATV SVP, Business & Legal Affairs), Danny Nozell (CTK Management CEO), Dolly Parton, Martin Bandier (Sony/ATV Chairman and CEO) and Brian Monaco (Sony/ATV President, Global Chief Marketing Officer). Released on Nov. 30, Dumplin’ Original Motion Picture Soundtrack includes both new and canon tracks from Dolly Parton! Produced by GRAMMY nominee Linda Perry, the soundtrack features exceptional guests including Sia, Elle King, Mavis Staples, Miranda Lambert, Willa Amai, Rhonda Vincent, Alison Krauss, Macy Gray, and DOROTHY, as well as cameos by Dumplin’ stars Danielle Macdonald and Jennifer Aniston. Dolly Parton has always been intent on building people up. As an actress in 9 To 5, Steel Magnolias and a host of films, her characters show kindness, support and inspire others. As an activist, she launched her Imagination Library in 1995. The program sends over 1 million free books per month to registered children around the world. Children receive a book a month from birth to age five and today the program has sent over 100 million free books. In 2016, she organized and hosted the Smoky Mountain Rise telethon to benefit the My People Fund, created when fires destroyed the area where she grew up. But Dolly Parton’s real power lies in the moving songs she writes about growing up in Appalachia, coming into her own as a dreamer, owning her strength, smarts and sensuality as a flesh and blood woman. Those songs – and her distinctive looks – have taken her around the world and made her a beloved global superstar. NOTE: Additional original catalog songs and catalog remixes as featured in the film from Parton will be available as part of the streaming version of the album. It makes sense that when Julie Murphy published Dumplin’, the YA novel about a plus-size teen with a former beauty queen mother who finds confidence through the songs of Dolly Parton, it became a No. 1 New York Times best-seller. Parton, an avid reader, was delighted to see her songs imbuing self-worth in someone else’s story, but even with her production company, she never considered taking it to the silver screen. Enter superstar Jennifer Aniston, who not only optioned, then signed on to produce and star as the Mom, but tapped Patti Cake$ breakout star Danielle Macdonald for the starring role. Knowing Parton’s tremendous humility, they realized her role would be more unseen – and Aniston approached her to contribute a title theme and perhaps re-record a few of her classics. Music supervisor Buck Damon enlisted Linda Perry, the musically aggressive former 4 NonBlondes frontwoman and producer. He couldn’t have picked someone less like the Appalachian-born superstar. Perry, who’d first met Parton after an appearance on The Talk, had been talking to her manager about trying to do some tracks. Suddenly, her intentions had manifested. “We’re the same. Our work ethics are insane, and we’d both be like, ‘Are you good? I’m good,’ and we’d stay all night working. That’s how this soundtrack ended up as a body of work that holds together. It blends everything Dolly is.” What a soundtrack it is. From seven-time Country Music Association Female Vocalist of the Year and two-time Grammy winner Miranda Lambert joining Parton on her very first single, the wry “Dumb Blond,” to a dry old-time vocal into a funk throwdown with Macy Gray and DOROTHY on “Two Doors Down,” the classics are revisited with unbridled, unrepentant joy. There are wafts of Appalachia as 27-time Grammy winner Alison Krauss and International Bluegrass Music Association Entertainer of the Year and seven-time Female Vocalist Rhonda Vincent resurrect “If We Don’t,” and ache on the wide open “Holdin’ On To You” with firebrand rocker Elle King and the stark “Here You Come Again,” featuring 14-year-old Willa Amai. But it’s the gospel of “Wonder Why,” featuring soul and gospel legend Mavis Staples, that burns. “Singing with all of these artists was a joy,” Parton enthuses. “I’m honored, and pleased. But singing with Miss Mavis? Knowing what she meant to my soul, how much I loved her before, her Dad and her whole family, back in the day (of the Staples Singers)! Just to be singing with her in the studio, to hear her through my headphones was such a thrill for me! As magical as the duets are, though, it’s the solo originals that shine the brightest. That same hope and imagination tempered with determination and hard work informs the genreless Parton classic-to-be “Girl in the Movies.” Laughing as much at her own desire to make it, as the empowerment one can find in the movies, Parton offers, “My whole life has been built on positive thinking and dreams, believing that I could do it. So, yes, I’ve been influenced back when I was a kid by (the movies). There’s something about so many of us who’ve gone to the movies. When you’re a kid, you look up at that screen, you see people living their lives with confidence. You feel that. And today, she’s a woman who’s written movie themes, acted opposite Sally Field, Jane Fonda, Lily Tomlin, Sylvester Stallone, seen her music played in discos, at bluegrass festivals and been a cornerstone in rock/country/pop’s first female super-group with Linda Ronstadt and Emmylou Harris. “I’m always amazed by what’s going on now, and that I’m still around,” Parton demurs when confronted by the high-level collaborators she still attracts, “or that a lot of these people kind of look up to me. You worry that you can’t be that good, you can’t be all that. I’m just a regular person, just trying to live my life. That personalizing even songs for others tempers “Push And Pull,” which encapsulates the tension between Aniston and Macdonald, serves the story. But it also captures real life and real family dynamics. As Parton shares, “One of my sisters was going through the same thing with her daughter at the same time. They’d just go back and forth, back and forth. It really inspired me, that one particular emotion of just trying to use your own control to control another person. And it never works! In many ways, Parton is the universal woman. She understands and nurtures, but she also breaks ground, seeks to press the limits of her own insurmountable talent. After five decades, it’s hard to believe there are new horizons, but the pride of East Tennessee sees vistas ahead. And all of it makes perfect sense. Considering Gray, the progressive soul songstress, Parton exclaims, “I just love her sound. She was hanging around the sessions, and I got such a kick out of her, because she’s as unusual as a person as she is with her look and her sound. She is a complete… the word is unique, and I love that in a person. “Her voice is insane,” Perry marvels. “The keys haven’t dropped down, and she’s singing all her songs in the original keys. When we decided to do a string arrangement of ‘Jolene,’ Dolly wasn’t so sure. But when she saw the kids come in – because I’d hired a young string section for the song – she was like, ‘Well, do you want me to go sing with them?’ I had the mic set-up, because that was exactly what I wanted. Sometimes we don’t know what we need until it happens. “Linda had all these great, great melodies, so we worked really well together. Completely different people. We are so different, yet we’re almost totally alike on the creative level. You know, I’ve never worked with a women before! I’ve never had a female producer. I’ve never really written with anyone, so this was all so different. Parton shines as she says this. It’s not a revelation, just something she’d never considered, and she likes it. “I feel for everybody. I am everybody, all the time. And as I writer, I really get involved in what people go through, whether they’re gay, whether they’re black, or white, or yellow, or brown, or gray. Everybody is who they are, and they should be allowed to be that! For Dumplin’, her mother, as well as the women who join Parton for these collaborations, feeling is the bottom line to getting where they need to be. It’s not always easy, but it makes the journey – and the listening – worth the effort. Music fans can pre-order now the highly anticipated Dumplin’ Original Motion Picture Soundtrack and instantly receive Dolly Parton’s “Girl In The Movies” and her previously-released collaboration with Sia, “Here I Am.” The soundtrack, which features Parton on every song, releases Nov. 30, and “Dumplin’” will premiere in select theaters and on Netflix on Dec. 7. In addition to retail pre-orders, fans will have access to limited edition Dumplin’ Original Motion Picture Soundtrack merchandise bundle offerings. From The Girl In The Movies Tiara to t-shirts and coffee mugs, plus a limited run of Dolly autographed album covers, fans can explore the full D2C store online. Highlighting exceptional guests including Sia, Elle King, Mavis Staples, Miranda Lambert, Willa Amai, Rhonda Vincent, Alison Krauss, Macy Gray, and DOROTHY, as well as cameos by “Dumplin’” stars Danielle Macdonald and Jennifer Aniston, the project was produced by GRAMMY nominee Linda Perry, who co-wrote six songs with Parton. The music video for Dolly Parton’s “Here I Am” featuring Sia is available to stream. Upon this track’s release in September, it quickly hit No. 1 on iTunes Country Songs and Top 10 all-genre chart. 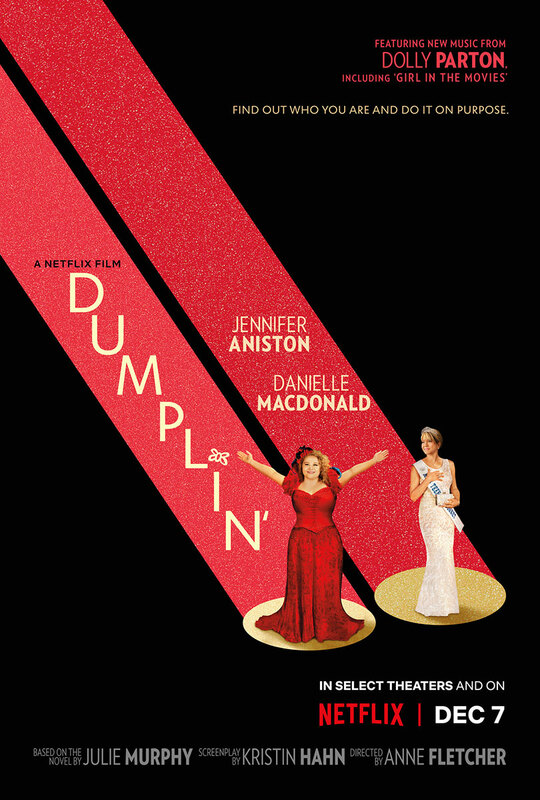 Netflix recently released the key art for “Dumplin’.” Dumplin’ (Macdonald) is the teenage daughter of a former beauty queen (Aniston), who signs up for her mom’s pageant as a protest that escalates when other contestants follow her footsteps, revolutionizing the pageant and their small Texas town. The film stars Macdonald (Bird Box, Patti Cake$) and Aniston (Upcoming Murder Mystery, Horrible Bosses, Marley and Me), in addition to Odeya Rush (Lady Bird, Goosebumps), Dove Cameron (Agents of S.H.I.E.L.D., Liv and Maddie, Descendants), and Harold Perrineau (Claws, Lost). It is directed by Anne Fletcher (The Proposal, 27 Dresses). Released on Oct. 13, “I Believe In You” is Dolly Parton’s first children’s album and 44th studio album. This project is especially for children and those young at heart. All of the proceeds will benefit Dolly Parton’s Imagination Library. 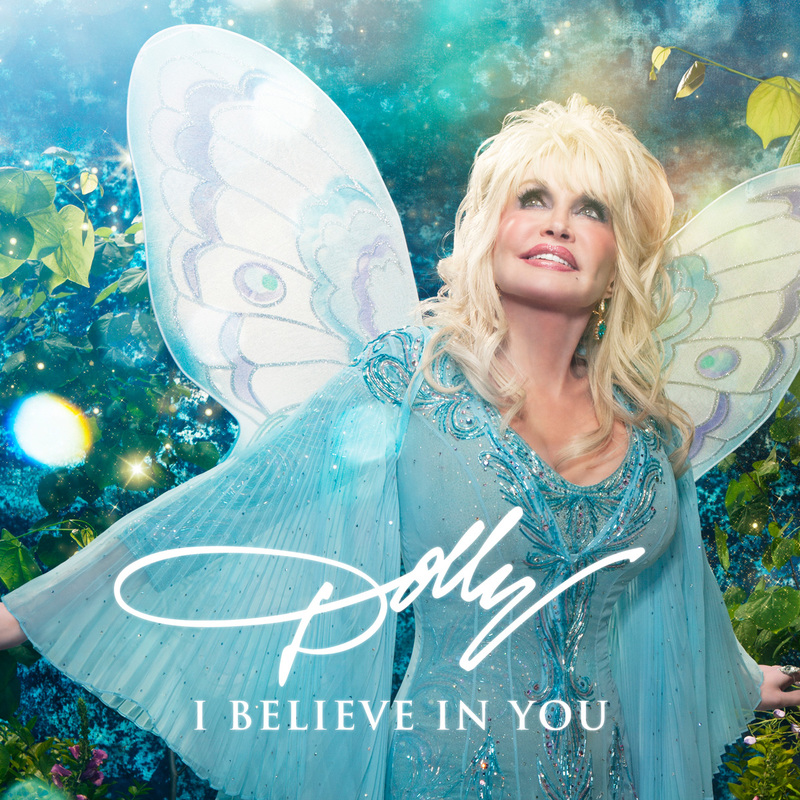 “I Believe In You” includes 14 songs, all written and performed by Dolly. 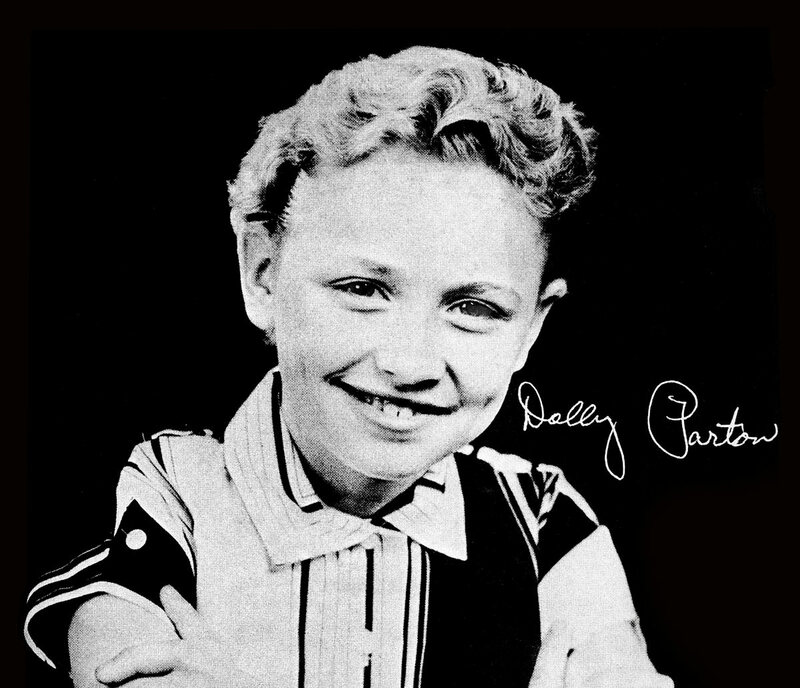 In addition to the title track, kids of all ages are sure to enjoy tunes like “I Am a Rainbow,” “Makin’ Fun Ain’t Funny” and “Brave Little Soldier.” The CD also includes a new recording of “Coat of Many Colors” and a special audio track of Dolly reading her book of the same name. “I Believe In You” is released by Dolly Records/RCA Nashville. Tracks 1, 3, 4, 5, 6, 7, 8, 9, and 10 were produced by Tom McBryde and executive produced by Paul T. Couch. Tracks 2, 11, 12, and 13 were produced by Tom Rutledge and Richard Dennison and executive produced by Dolly Parton. All 14 tracks on “I Believe In You” were written and performed by Dolly Parton. Sharing a love of reading and books with children is very important to Dolly. In 1995, she founded her Imagination Library to honor her father who was smart and hardworking but never learned to read or write. Dolly believes that if you can read, you can do anything, dream anything and be anything. She is committed to giving children from all walks of life a chance that her father never had. Since launching in Dolly’s home county in East Tennessee, the Imagination Library has expanded into four countries. Today the Imagination Library sends over one million free high-quality, age-appropriate books each month to children around the world. A remastered special edition version of Dolly Parton’s first record “Puppy Love” to be released on April 22, 2017! Read about the 30-hour bus trip Dolly took with her grandmother, Rena Owens to make the original recording in Puppy Love – Dolly Parton’s First Single. The inaugural release— Dolly Parton’s first single, “Puppy Love”—is a 45-RPM with a B-side of “Girl Left Alone.” The limited edition run will be available exclusively in participating stores on April 22, Record Store Day. Subsequent releases will be available on compact disc, vinyl and from digital providers. Dolly recorded “Puppy Love” for Goldband Records in 1959. This edition is remastered from the original mono master tape. Packaging will include reproductions of the original Goldband record labels, housed in a picture sleeve featuring an early promotional photograph of Dolly. These rare recordings are made possible through a partnership between the Southern Folklife Collection (SFC) at the University of North Carolina at Chapel Hill and Yep Roc Records, based in Hillsborough. A compilation of classic Cajun music from Goldband Records,“Swampland Jewels” features recordings by Jo-El Sonnier, Boozoo Chavis, Iry LeJune Jr. and Cleveland Crochet. Packaging features the original album art of a bikini-clad girl riding a giant crawfish, and includes the booklet “From the Bayou,” a history of Goldband Records by music writer Mike Leadbitter and Goldband Records founder Eddie Shuler. A newly discovered performance by Doc Watson, “Live at the Club 47” was recorded in Cambridge, Massachusetts in 1963. This recording features unreleased songs from Watson’s early repertoire. *Preview is of the original track, not the remastered version.